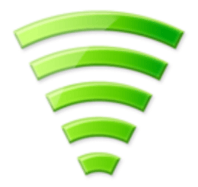 Name: Wifi Tether Router Apk. Requirements: Android version 1.6 and up. 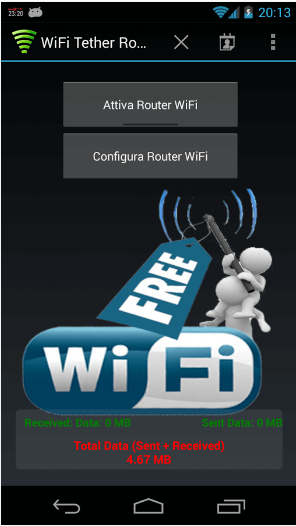 Wifi Tether Router Apk is an android application that will turn your android device into wifi hotspot.Everyone knows that every smartphone has a built-in hotspot option but wifi tether apk is a unique app that can transform your smartphone into a wifi hotspot without costing extra charges. Most of the android devices cost addition charges to your data plan for using your smart device as a hotspot. But with wifi tether you can connect to the internet via another wifi-enabled device through your carrier’s data plan that is already associated with your phone. Using wifi tether android app is really easy and don’t require any technical skills. You can configure your hotspot by first naming your network (located under “Configure WiFi Router”). 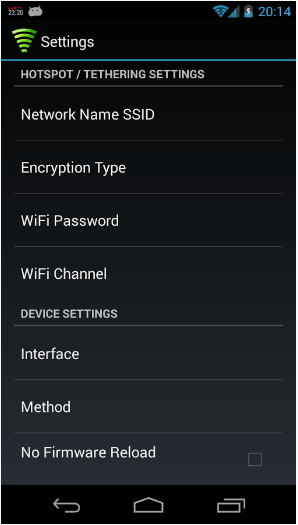 Then simply select “Enable WiFi Router” and enjoy internet on your secondary device or PC. Also compatible with Android 4.0.x 4.1.x, Android 4.2.x and Android 4.3 (Ice Cream Sandwich, Jelly Bean). Italian, English and French Are supported. Note: Wifi Tether Router Requires root permissions. So it will only work if u have root permissions. Need to change your APN, simply navigate to Settings > More > Mobile networks > Access Point Names. Select your T-Mobile APN, and scroll to APN protocol. Change this to IPv4, and then save your APN. Every device has its own wifi and hotspot settings so if you face any problem while configuring the app you can simply report your problem to SNCLABS@GMAIL.COM and they will guide you. On with the lasted version you can create a white list and black list of IPs. 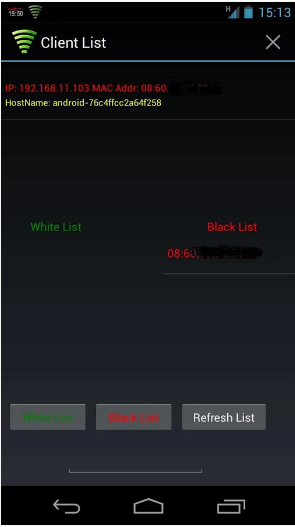 it will help you to easy connect to your whitelist IPs and will automatically block your Black List IPs.